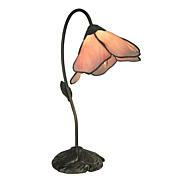 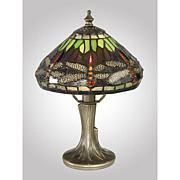 A fresh take on Mission-style lighting, this lamp will add a warm splash of color to any room. 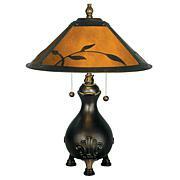 With large, triangular panels of light amber on each side of the square shade, this beacon is sure to catch the eye. 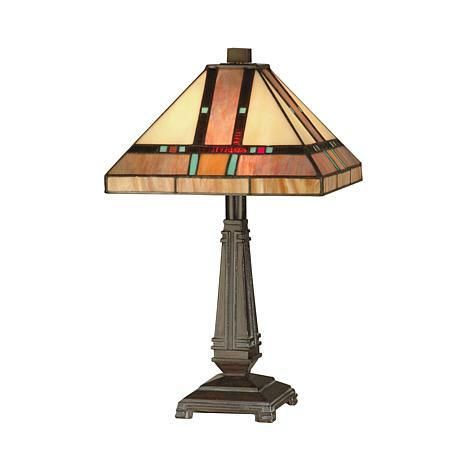 A wide band of dark amber runs horizontally and vertically over the shade, bordered by squares of glass in saturated jewel tones, and its metal base is simply cast with geometric accents. 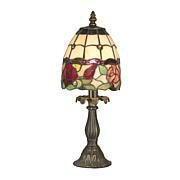 This stunning beauty will be right at home on an end table or desk, providing stylish, reliable lighting for years to come.